The Aliquippa School District websites and webpages serve as a resource to the community and beyond, in order to provide current information about our schools, access to staff, and opportunities to deliver information and interactive services. Each webpage promotes the Aliquippa School District while serving as an interactive resource and communications tool, a source of current information about the school for parents, students, alumni, and staff, and an outreach medium to the community. The Aliquippa School District makes all reasonable efforts to ensure that published information is accurate and current at the time of creation and/or modification of the webpages. However, Aliquippa School District makes no claims, promises, or guarantees about the absolute accuracy, completeness, or adequacy of the contents of this website and expressly disclaims liability for errors and omissions in the contents of our webpages. Any person or entity that relies on any information obtained from this system does so at their own risk. Aliquippa School District reserves the right to make changes to or take down our webpages or posts, remove or alter any content, or block/ban users at any time without notice. Information on our webpages regarding courses is provided for information and guidance purposes only and does not constitute a contract. The Aliquippa School District webpages may contain links to external web sites which are not affiliated with the Aliquippa School District. External or linked sites are not supervised nor regularly reviewed by the Aliquippa School District. Any information, endorsements of products or services, materials or personal opinions appearing on such external sites are not controlled, sponsored nor approved by the Aliquippa School District. The Aliquippa School District specifically disavows legal responsibility for what a user may find on another site/page, or for personal opinions of individuals posted on any linked site/page. Although staff webpages operate with the knowledge and awareness of the Aliquippa School District, the content and opinions posted by staff on their personal pages do not always represent the official viewpoint of the Aliquippa School District. Every effort is made to ensure that content is free from viruses and that that this website runs without any problems or interruptions. The Aliquippa School District cannot accept any liability for damages resulting from computer virus infection and will not be liable for, nor take any responsibility for this website being temporarily unavailable due to technical or other reasons. With respect to material copyrighted by the Aliquippa School District, the district forbids any copying or use other than "fair use" under the United States Copyright Act. Unless explicitly stated to the contrary, all rights, including copyright, in the content of these web pages are owned or controlled for these purposes by Aliquippa School District irrespective of whether a copyright symbol and/or statement is present. In addition, please be advised that our website makes use of materials (including, but not limited to, photographs) in which third parties hold the copyright, which also cannot be copied or used for use other than "fair use" without permission of the copyright owner. If you want to make use other than "fair use" of any copyrighted information on our webpages, you must seek permission directly from the copyright owner. If you believe that any material on this website infringes upon any copyright which you own or control, you may file a notification of such infringement with our webmaster. 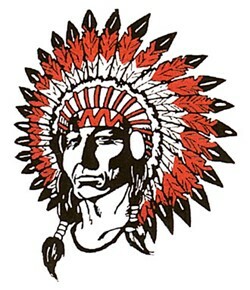 Aliquippa School District welcomes comments and suggestions on its website and would also welcome reports of any inaccuracies in the website/webpages. To do so, please contact district webmasters or administration.